In 1798, a "Learned Pig" first arrived in America under the proprietorship of a certain Mr. William Frededrick Pinchbeck. Much as had his British forebears, Pinchbeck's pig read and spelled words, told the time of day by consulting a watch, and answered questions freely from the audience on arithmetic and any other matters. 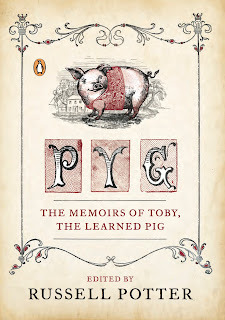 And now, a mere two hundred and fourteen years later, he has now arrived again, under the proprietorship of Penguin Books, as the U.S. and Canadian publisher of PYG: The Memoirs of Toby, the Learned Pig. As the Editor of this volume, I very much look forward to acquainting readers with the history of this remarkable Animal, wish to reassure them that, in every way, Toby's story is firmly grounded in fact. That there was such a pig, and that he first appeared in 1781 under the management of one Mr. Silas Bisset, making quite a splash upon the stage in Liverpool, Dublin, Chester, and eventually London, is amply documented in handbills, newspapers and other accounts of the day. And yet, until now, the public have had only secondhand reports by which to judge the wit of this Sapient creature. 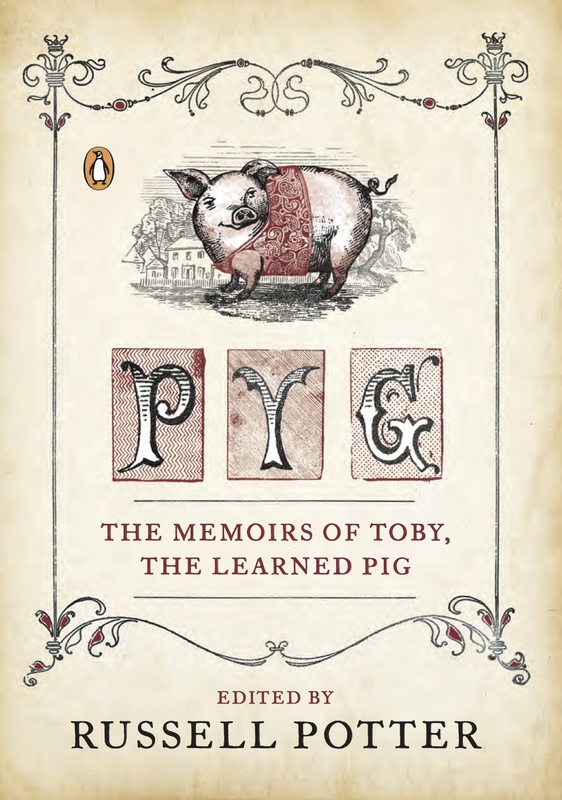 Now, for the first time in more than two centuries, readers can once more enjoy Toby's story as told by the Pig himself, describing his human handlers, Friends, and Enemies, sparing no Person with his frankness. The life and opinions of Toby are, of course, suffused with the flavor of the period, and include his encounters with Dr. Johnson (who invited him to dinner), William Blake (who gave him a copy of his first book of poems), and Robert Burns, who stoutly refused the invitation of a Countess unless she should invite Toby as well. This new edition is also accompanied by an Appendix, which gives all manner of helpful glosses, as well as brief sketches of the people mentioned therein, and translations of the Latin words and phrases employed by Toby (who studied both at Oxford and at the University of Edinburgh). It is my hope that it will be as warmly received as were Mr. Pinchbeck and his learned Companion, who toured the eastern seaboard for many years, finding warm welcomes in cities from Boston to Washington. Here on this blog, I will appraise those interested in Toby's continuing progress, as well as adding further notes on the remarkable details of his Career.